Help Charlotte on a dizzying mosaics journey into the skies over Europe in pursuit of criminals, so that justice is finally served! 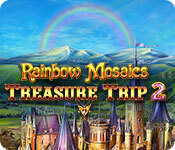 Rainbow Mosaics: Treasure Trip 2 is rated 3.6 out of 5 by 5. Rated 5 out of 5 by MrsBen from I FEEL GUILTY! I agree with Pennmom. 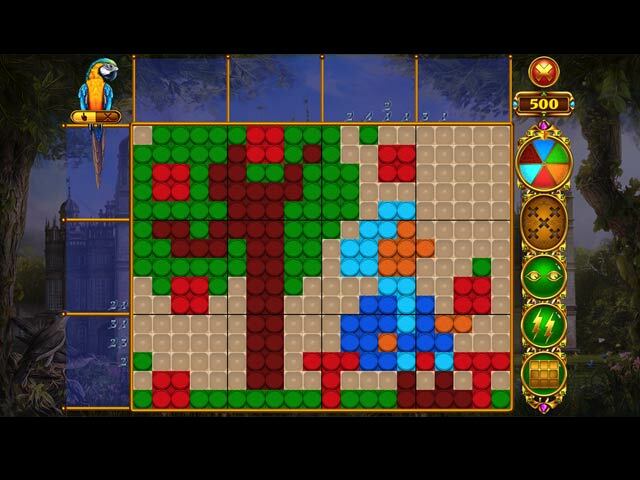 The Rainbow Mosaics games are right up there close to our little Penguin friends. It makes me feel guilty and unfaithful, but they are good! I especially love the tiles with stitching around the edges, sort of like quilt squares, but I try all the tiles, just for the fun of it. 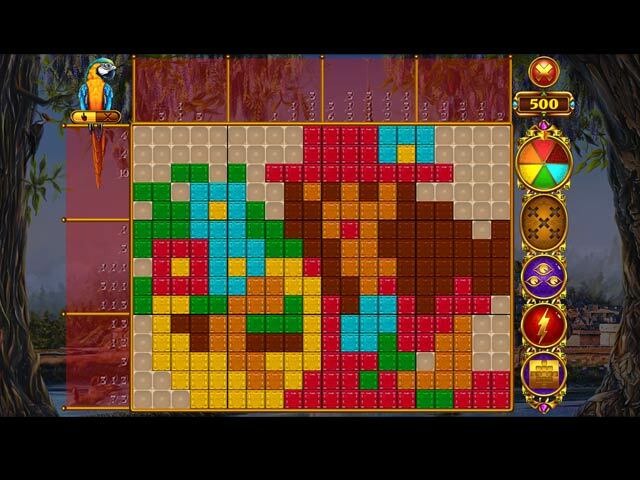 I have all the Rainbow Mosaics games, just like the FM games. I enjoy them and hope both Devs NEVER run out of puzzle ideas!!! Good job!!!! Rated 3 out of 5 by kamari55 from A never boring game. But has a failure. A nice game, never gets boring. The only thing is, even you solve all the riddles with zero failures, zero hints etc etc, you don't get the full set of points to buy all the items and upgrades. Rated 3 out of 5 by verimeri from as compared to As compared to the gold standard of mosaic games- Fantasy Mosaics- this game is good but not nearly as good. First of all in Fantasy the mosaics create scenes not just a single object. Example would be fishing. In Fantasy this is a person on a dock with a fishing pole and a cat sitting behind him. In Rainbow it would likely just be a fishing pole. The second issue is colors. I tried to pick the four colors I thought would have the most contrast but still some of them are almost the same. That is quite irritating. So, overall I like Rainbow Mosaics but Fantasy Mosaics is still much better. 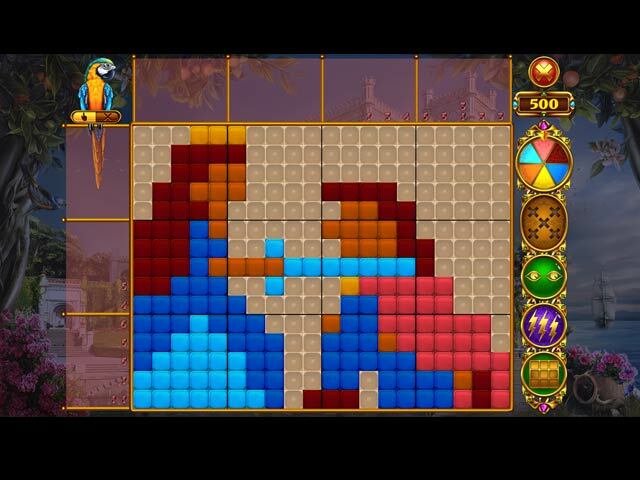 Jewel Mosaics was very good but they have not yet come out with a sequel- waiting for it. Overall I recommend this game but if you are new to this type of Mosaic game you would be better off buying Fantasy Mosaics. Rated 2 out of 5 by Calopsitta from Hey, devs! Can you just change two colors and make it perfect? As usual, I HAVE to get mad at this games. I find all games in this series are just delightful. Nonograms are good, they work just fine, the game itself runs smooth and I would so much enjoy playing this one as much as the other ones in the serie. The only problem is colors of the tiles are so much alike that I cannot distinguish them, and this results in a LOT of errors that I could easily not make if I were able to tell one color from the other. Red, brown and orange are just the slightest shade from one another. In this one, there is also a problem between skyblue and pale green. Game is using at most six colors for a scene. Ain't there enough colors in the world to just choose six different ones? I am so sorry for this serie, because it would be a winner for me! Help Charlotte to take a dizzying mosaics journey into the skies over Europe in pursuit of castle burglars!